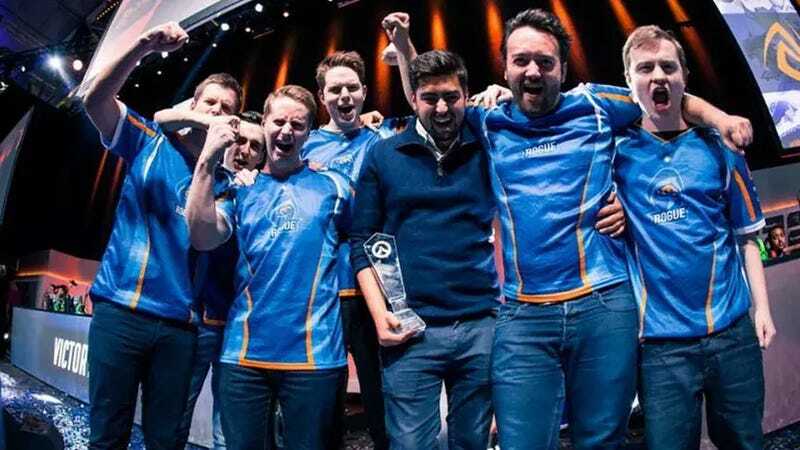 Esports organization Rogue has announced that it will part ways with its current Overwatch roster after not being named one of the inaugural teams in the Overwatch League. Today we’re sorry to announce that we will be breaking up the current #RogueOW roster to allow the players to pursue spots on OWL teams. We did everything we could to get the team a spot in OWL, including procuring the buy-in money and going through the whole approval process. Unfortunately, we were not accepted for Season 1 and had no option but to break up the most accomplished Overwatch team in the game’s history so that the players could accept offers. We will continue to pursue putting together more great teams in the future and hope next time to be able to keep what we’ve worked so hard to build. The Rogue team had a good deal of first place finishes to its name in 2017, including wins at the BEAT Invitational Season 2 and the Overwatch PIT Championship last April. Most recently, the squad closed out its Overwatch Contenders run at 5th place. All 12 teams have been officially locked for the Overwatch League’s start date on Jan. 10, 2018. The buy-in, reportedly set as high as $20 million, will establish regional teams in areas like Dallas, San Francisco and Shanghai, as well as a developmental minor league.